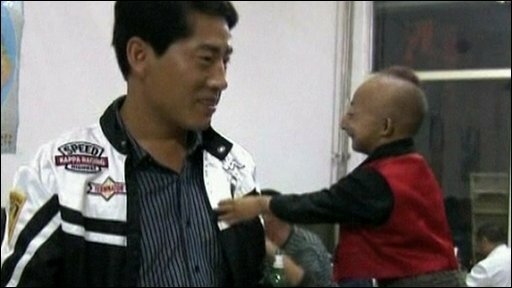 He was born in 1988 in Wulanchabu, China, with a form of primordial dwarfism, and was officially recognised as the world's shortest man in 2008. He was admitted to hospital two weeks ago after suffering a chest complaint and died on Saturday, but his death has only just been announced. 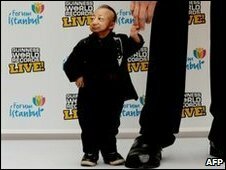 Guinness World Records said he had made a "huge impact around the world". "From the moment I laid on eyes on him I knew he was someone special - he had such a cheeky smile and mischievous personality, you couldn't help but be charmed by him," said Craig Glenday, Guinness World Records editor-in-chief. "For such a small man, he made a huge impact around the world," he added. Mr He was in the Italian capital to take part in the filming of a television programme called The Record Show. According to the TV production company Europroduzione, he had already filmed two episodes of the programme when he complained of feeling unwell.